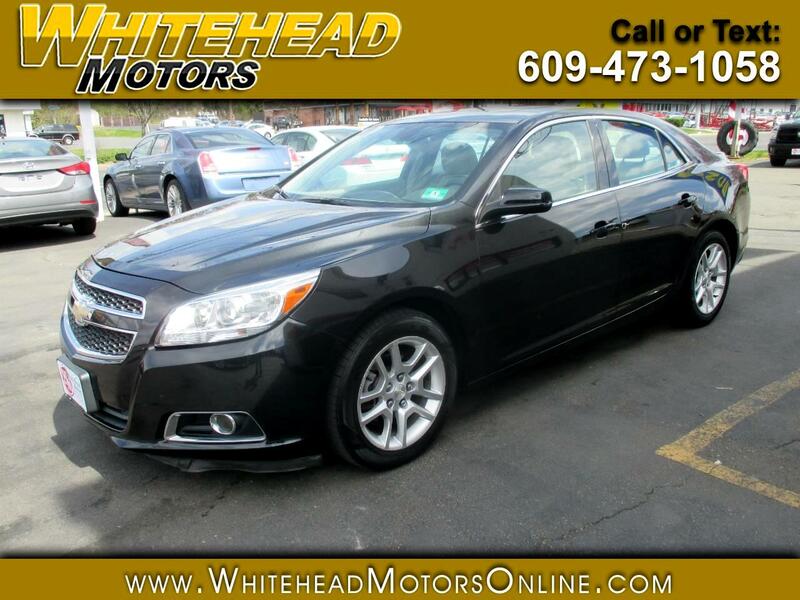 Take it to the next level with our One Owner, Accident Free 2013 Chevrolet Malibu Eco 2SA in striking Black Granite Metallic. Fueled by a 2.4 Liter 4 Cylinder that offers 182hp paired with an advanced 6 Speed Automatic transmission for ultimate performance and fuel efficiency. Each curve and line is designed to break the air with ease as it rewards you with nearly 37mpg on the open road. The exterior is further enhanced by a large sunroof, fog lamps, and bright alloy wheels. Slide into the sculpted Eco 2SA interior and you'll find it's designed for maximum space and aesthetic appeal with a leather-wrapped steering wheel with mounted controls, dual-zone automatic climate control, heated leather front seats, an 8-way power-adjustable driver seat, full-color navigation to help you with your route, and a premium audio system that features a touchscreen display, a Pioneer 9-speaker sound system, Bluetooth, and available Sirius radio to keep you motivated. GM is a world leader for safety and you will appreciate 4-wheel ABS, multiple airbags, brake assist, available OnStar, and a rear view camera. Chevrolet's enthusiasm for innovation makes the Malibu one of the most advanced driving experiences offered! Print this page and call us Now... We Know You Will Enjoy Your Test Drive Towards Ownership! Get Approved In Minutes at Whitehead Motors. We Make Car Buying Easy.